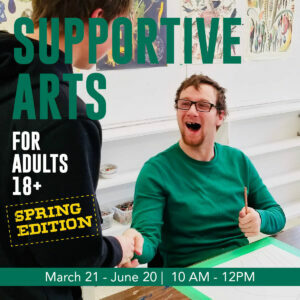 Supportive Arts is a weekly program for adults 18+. Join us for a guided morning workshop, specifically designed to support adults of all abilities. Each Thursday we will embrace diversity through art-making, movement and vocal explorations. Each week is a unique and different! Registration for each week is required in advance. $12 per person, per session. Please bring your support worker if assistance is required. Please note that ECFTA is not currently wheelchair accessible. Thursday April 25th, doors open at 7PM. 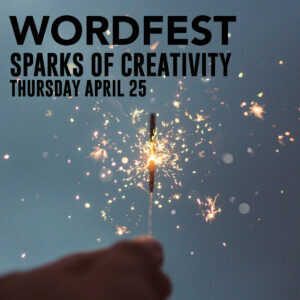 WORDFEST is a celebration of spoken word prose, poetry and creativity with words. Come to Elora’s treasure chest of word art! Their Spring event will be hosted in the gallery at Elora Centre for the Arts, presented by Wordfest Elora. Doors open at 7PM (readers/reciters sign in at 7PM). 7:30 start. Admission is $6 at the door. Tickets are $25 general admission in advance, $30 front row in advance or $40 at the door. Under the heated big tent, this year’s fashion show will be on a grand scale! Let’s celebrate the Roaring 20’s with its secret Prohibition-Era establishments and enjoy modern day fashions presented by retailers throughout our community. Lucky for us, alcohol is no longer illegal, but you may need to know the password to get in! As in the 1920’s, Speakeasies had a hidden, unmarked entrance and the location was spread by word-of-mouth. In true Speakeasy fashion, you are invited to spread the word about this event! LIVE AUCTION! Dress up in your favourite speakeasy outfit. It’ll be the bees knees! Buy your tickets online by clicking “learn more” below. 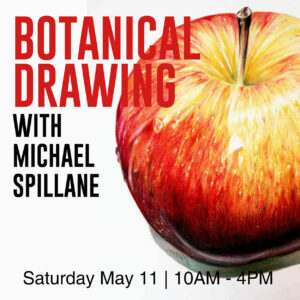 Tickets are also for sale (cash only) at Honeychurch Lane or in the gallery at the Elora Centre for the Arts. Buy ahead and save – tickets at the door will be $40. Our fashion show participants include: Aria Boutique, Broderick’s Clothiers, Epiphany, Fergus-Elora Academy of Dance, Gosia Eco Designs, Jaboli, Karger Gallery, Season’s Home Decor Children, Studio Kampina, Sparrows Nest Designers and Zoba Martin Bridal. Thank you to our local kitchens! The Friendly Society and V-Edge Cafe. Thank you to our wonderful event sponsors! Burke’s Tent Rental in Fergus, The Friendly Society, Elora Home Hardware, Elora Mill & Spa, Heritage River Retirement Residence. A stunning step-by-step project featuring an apple will be the focus of the day. Coloured pencils are easy to use and convenient to store and replace, making them an ideal medium for both beginning students and experienced artists. The drawing process will be discussed in detail and techniques such as burnishing and layering, along with accurate colour matching, tonal rendering and composition will help students master this rewarding medium. 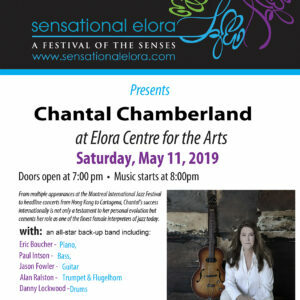 Sensational Elora presents Chantal Chamberland in the gallery at the Elora Centre for the Arts! From multiple appearances at the Montreal International Jazz Festival, to headline concerts from Hong Kong to Cartegena, Chantal’s success internationally is not only a testament to her personal evolution but cements her role as one of the finest female interpreters of jazz today! Check out Chantal’s version of “Crazy” here. With all-star back-up band including Eric Boucher on piano, Paul Intson on bass, Jason Fowler on guitar, Alan Ralston on trumpet and flugelhorn and Danny Lockwood on drums. 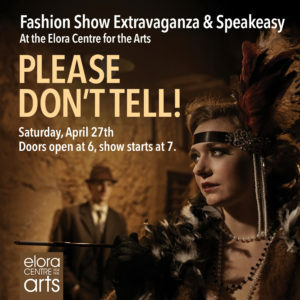 Purchase your tickets online or with cash at Elora Centre for the Arts or Sante in Elora. $250 + HST, Maximum 10 participants. 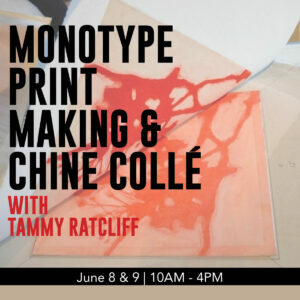 Join artist Tammy Ratcliff for a weekend workshop featuring monotype printmaking designed for both the beginner and the more experienced. A spontaneous and satisfying way to work, monotype offers quick results and a variety of techniques. Tammy will lead you in the use of an etching press, using premium papers and only the best inks, for inspired experimentation. Explore the many ways to create a one-of-a-kind painterly print; additive and subtractive methods of applying ink to the plate surface, the use of brayers, brushes and stencils, chine collé, texture transferring, multiple plate printing and registration. WHAT TO BRING: apron, sketchbook, photos, pressed leaves, bits of lace, favourite pencils, ruler and a lunch for break. About the instructor: Tammy Ratcliff is a Guelph based printmaker who has been working at her practice in her own printmaking studio since 1993, after completing her courses at BealArt in London Ontario. She has shown her work extensively in solo and group shows since then, with one coming up this June 27th here at the Elora Centre for the Arts with fellow printmaker and sculptor Pam Lobb. Hand-build your own figurative sculpture in this light-hearted workshop designed for the very beginner, using a photo as muse of someone special in your life or past. These free-spirited clay figures will come to life in two Saturday afternoon sessions, with a kiln firing in between and mounted on a wooden base. 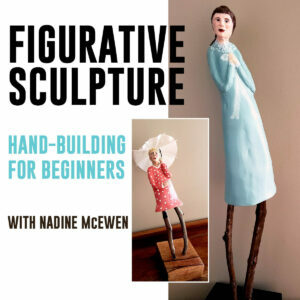 Please email a photo of your subject to the instructor one week prior to class, at nadinemcewensculptures@hotmail.com, along with a suggestion of an object to personalize your sculpture if you wish (ie; cane, umbrella, balloon etc).